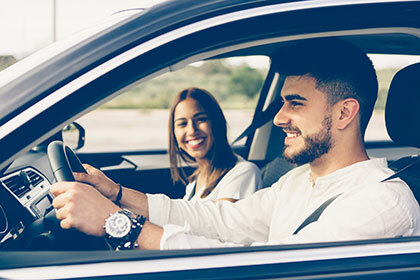 When you are looking to get a car loan with bad credit, it is a good idea to come down to the dealership and talk with our friendly financial managers. This department can help you go over your options for financing as well as let you know what types of vehicles on our lot will be the best for those options. Fortunately, our knowledgeable staff can offer you friendly and confidential advice to help you move forward with getting a vehicle at the right price. Many times, we can help you get a loan with just enough information to perform a credit check and establish a loan that works for you. This usually means pay stubs and identification, but you can call ahead to make sure that you have everything that you need before you come down to the lot. In some instances, you can make appointments online and find information through our website to help understand the process better. Once you are here, we can help you find the vehicle and financing option which best fits your needs and budget. This can help you get to and from your job as well as help you build or rebuild your credit more easily than with other types of financing. The best car loans can even help you do both, get a new car and fix your credit, at the same time. When you come down to Pioneer Motor Group, you can get the car you need with the financing you can afford. Our friendly loan officers will be able to go over your financing options with you in a knowledgeable and confidential manner to get you the right one for your circumstances. We offer both Bank and In House Financing for you.